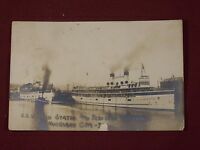  OLD SHIP POSTCARD THE GEORGIAN BAY LINE STEAMER "NORTH AMERICAN"
FRONT SAYS. STMR.". 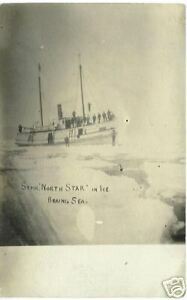 NORTH STAR " IN ICE BERING SEA. Condition is good, like all old cards there are bends and worn corner on most all cards. BACK IS UNUSED.